We are offering Adhesive Sticker to our client. We are a trusted company involved in offering best quality of Out of The Box Thinker Reward Stickers, which are designed as the set of industry norms and standards. We manufacture premium quality Adhesive Stickers, that can be plain or even printed as desired our customers. Our adhesive stickers can be made available in different colors and sizes. The details regarding size, shape, design etc. is finalized as per client. We can also offer sample for client's approval. As one of the foremost fabricators, exporters and suppliers of various kinds of stickers, we are also offering Kitchenware Stickers- Geeta. These are widely used in kitchenware industries. For the fabrication purpose of these stickers, we use best grade of factor inputs and cutting edge technologies. - Web width : 25 mm to 250 mm. 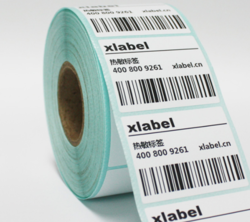 - Label size : up to 400 mm x 250 mm. - Type : Self-adhesive. Non-self adhesive. - Web Type : Paper, Aluminium Foil, BOPP Film, Polyester Film, Plastic Film. Due to the increasing demands of our patrons, we are engaged in presenting an extensive assortment of Fusing Sticker. They can be used on various substrates to help protect, secure and authenticate different items. Furthermore, these Fusing Stickers are made available to the consumers at rock bottom prices in the market. we are becoming forth in presenting a very classy range of Self Adhesive Stickers. These stickers are designed by highly experienced professionals in total conformance with predefined quality norms and standards. Apart from this, we offer extensive array of these stickers in various designs at most affordable rates in the market. We are engaged in offering high quality dyes & intermediaries self adhesive label/stickers.These stickers are available in removable or permanent self adhesive materials as per the requirement of the clients. Apart from this, we are capable of offering customization as per the specific requirements of the clients.